Dental implants are a permanent, natural-looking solution for missing teeth. With proper care and oral hygiene, implants can last a lifetime. Implants look and feel natural, and don't require any extra maintenance outside of a normal oral hygiene routine. 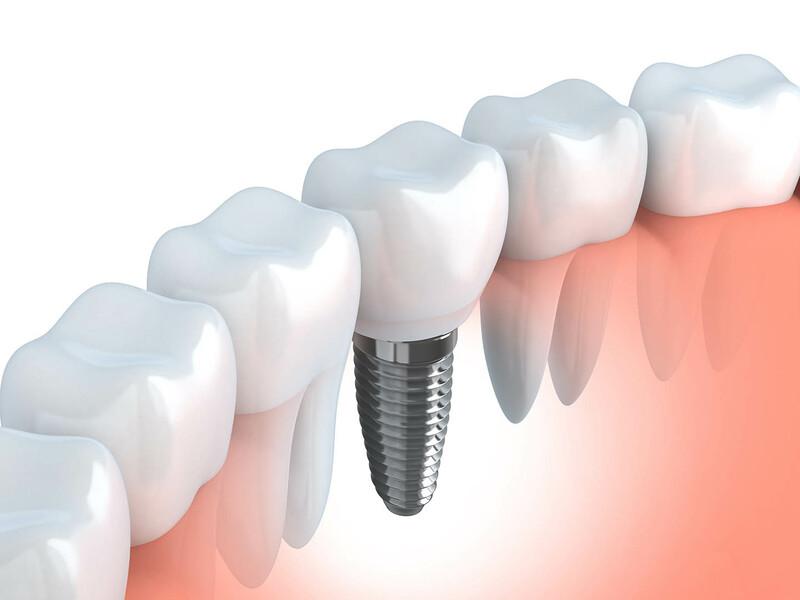 An implant is an artificial tooth root that is surgically inserted into your jawbone. After the small titanium post has been placed and is completely healed, Dr. Tran will create a custom crown that attaches to it, restoring your smile and your confidence. With proper care, implants can last a lifetime, so consider this a long-term investment in your oral health. If you’re missing teeth, give us a call today at (858) 264-2555 to learn more about this life-changing solution. I’m missing a full arch of teeth. Do you offer full arch restorations? If you are missing a full arch of teeth, or several teeth within an arch, Origin Dental offers full arch restorations as a permanent, natural-looking solution that will restore your health and your confidence. This option can greatly enhance your quality of life and the overall health of your mouth. With permanent, full arch restorations, there is no need to remove artificial teeth from your mouth for cleanings or before bed. And our permanent restorations won’t shift or slip on your gums. Instead, they feel as secure and natural as your real teeth. Call Origin Dental for a consultation to determine if a full arch restoration is right for you! Do you offer mini implants? Mini implants are a solution for patients who are missing teeth, but aren't able to undergo invasive surgery and repeat dental appointments. This is also an option for patients who have lost too much bone mass in their jaws to receive a full-sized implant. In these cases, mini implants may be the best option to restore your smile. Dr. Tran can usually place a mini implant in just one visit using local anesthesia and without any sutures. If you’re missing teeth, give us a call to schedule a consultation to determine if this is the best option for you.